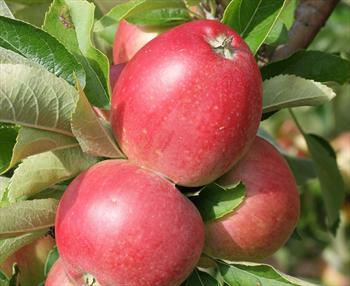 Worcester Pearmain is a classic English early-season apple, and remains popular as a garden variety. The apples are fairly small, and a pretty bright red where the sun catches them, whilst the blossom in spring is also a feature. The flavor is good and sweet for an early variety, and in a good year you may notice the slight strawberry flavor for which this variety is renowned. Like most early-season varieties, Worcester Pearmain does not keep. 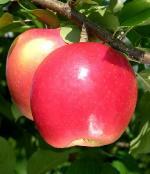 It is at its best when eaten straight from the tree, but you can store the apples in a fridge for up to a week. 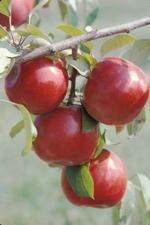 Although always considered as a dessert apple variety, Worcester Pearmain is a good variety for stewed apple.